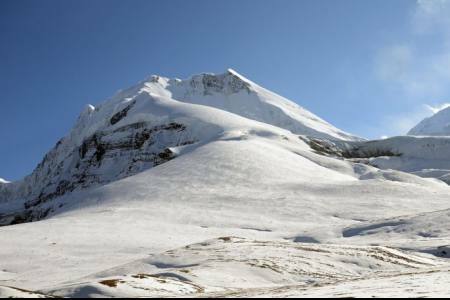 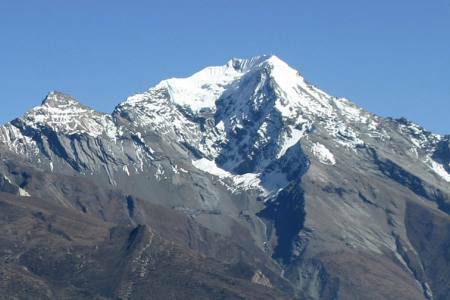 Kongde Ri (6011m/19721ft) (also known as a Kwangde Ri or Kwande) is a multi-lobed mountain in the Himalaya in the southeast of the mountain group Rolwaling Himal. 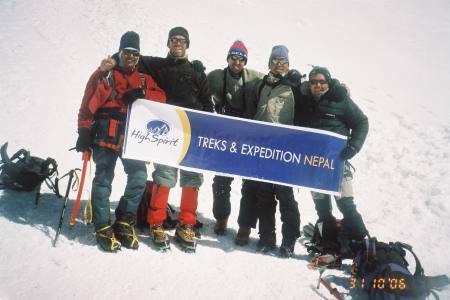 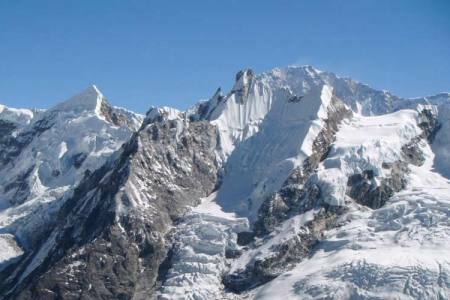 It is famous trekking and peak climb of Nepal. 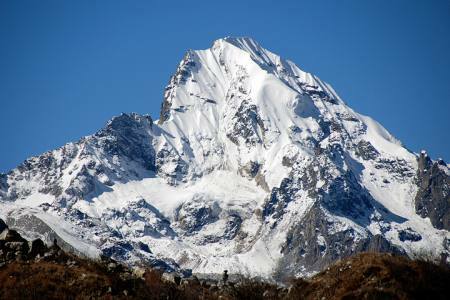 The Kong Ri is located in the mountain ridge Lumding Himal in the Khumbu region of the administration zone of Sagarmatha. 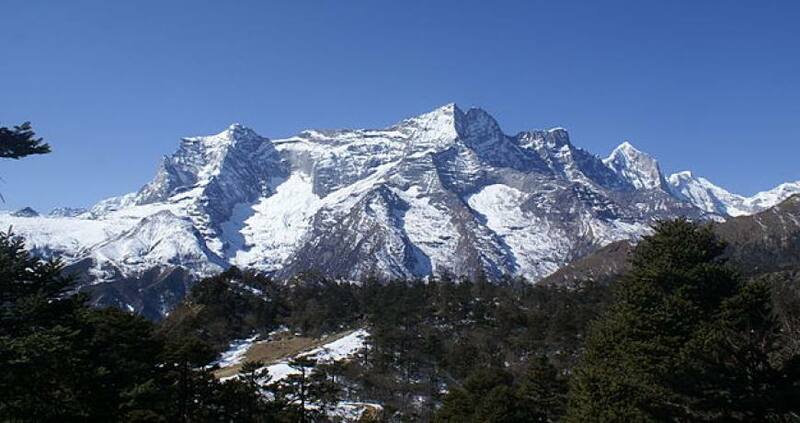 The mountain village of Namche Bazar is located north-eastin the mountain of Nepal.T he routes up to the assent of Kongde Peak are all difficult till date and no one yet found and proved that there might be possible easy routes to climb the peak. 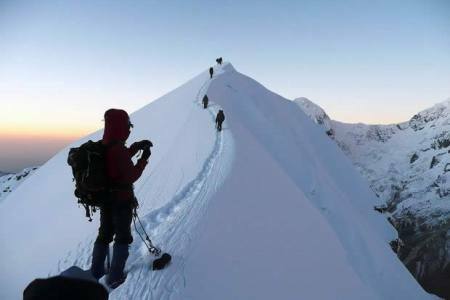 The North Face routes of the peak are particularly difficult and reflect recent developments in lightweight Himalayan climbing, with an emphasis on technical difficulty.The Kong Ri is considered to be a trekking peak and is run by the Nepal Mountaineering Association in the category "B", the easier climbing peaks. 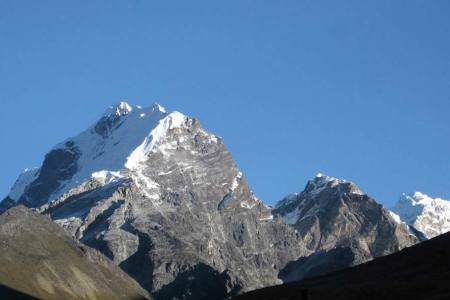 Kongde Peak, treks and climbing starts after we take a flight from Kathmandu to Lukla and start trekking towards Phakding. 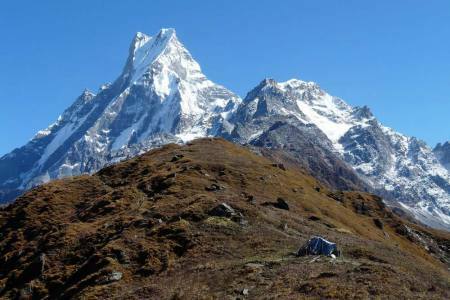 Our trekking trail takes us all the way through the Khumbu region passing beautiful hills, beautiful mountains, rhododendron forests, famous monasteries yak pasture lands, and rugged topography towards the Namche bazaar. 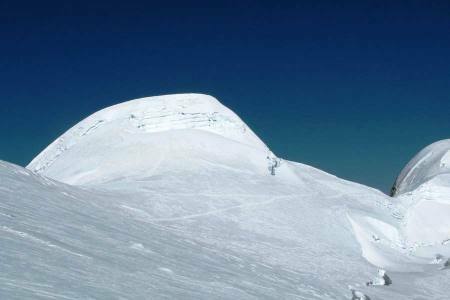 Kongde Peak (6,011 m/19,721.) 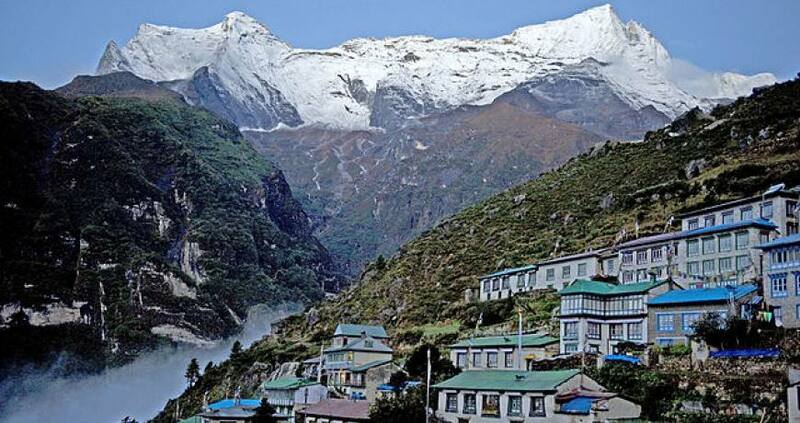 is situated just above this famous Sherpa village Namche Bazaar is a gate way to Khumbu region. 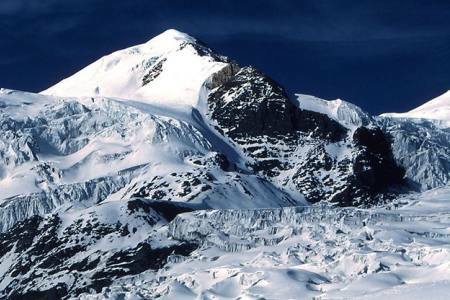 The northern part of the mountain forms an impressive barrier having several steep ridges to the north. 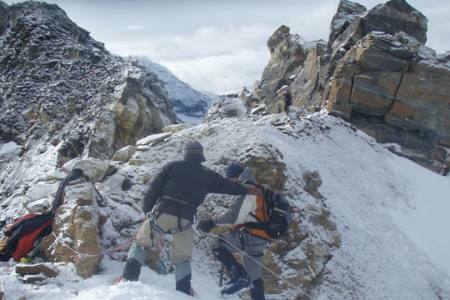 From Namche Bazaar, we start ascend up to reach Kongde base camp at 4,700 m/15,419ft). 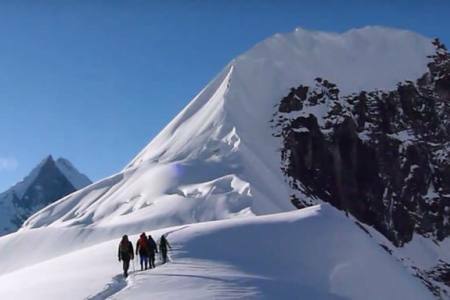 From the base camp we climb up through some glaciers, snow and steep rocky faces to approach the summit of the peak. 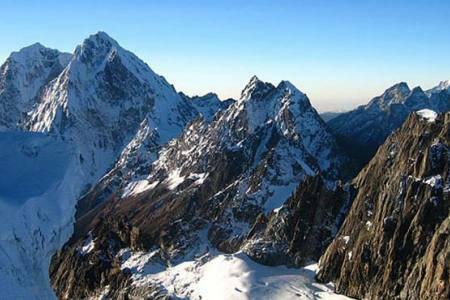 From the submit point you can see superb view with big Himalayan range. 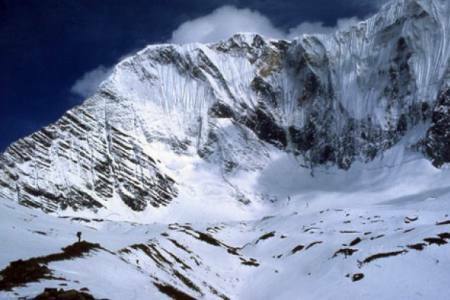 Like Nup (6,035 m./19,799 ft.), Kwangde Lho (6,187m/20,298ft. 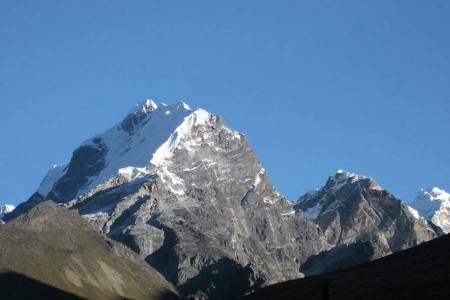 ), Kwangde Shar (6,093 m/19,990.) 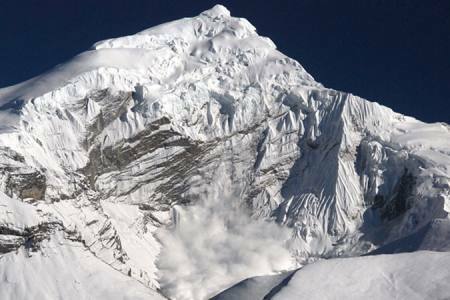 and several lower summits terminating to Nupla (5,885 m/19,307ft.). 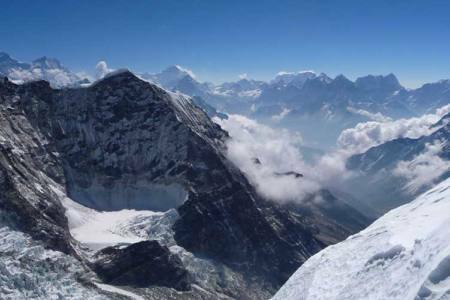 Day 12: Fly from Lukla to Kathmandu (1,350 M/4,429ft), 25 minutes, (Lodging + B). 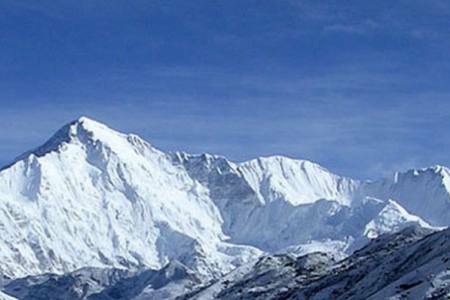 Day 12 Fly from Lukla to Kathmandu (1,350 M/4,429ft), 25 minutes, (Lodging + B).